MSE Creative Consulting Blog: Congratulations Phil, Ali, Becky and Justin! 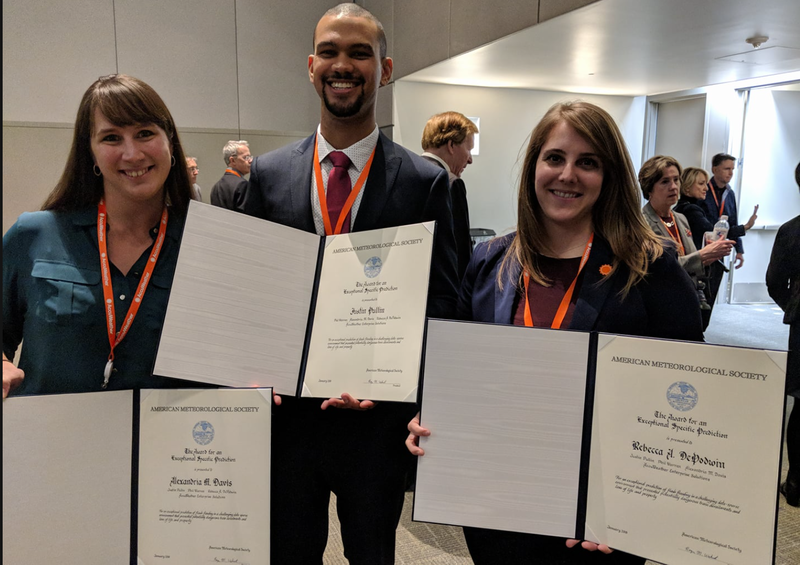 The American Meteorological Society has recognized our team for its flash flood warning in Mexico that prevented a catastrophic train derailment. The storm was in a data-sparse area yet our technology and their ingenuity allowed them to make an outstanding forecast for the largest railroad in Mexico. 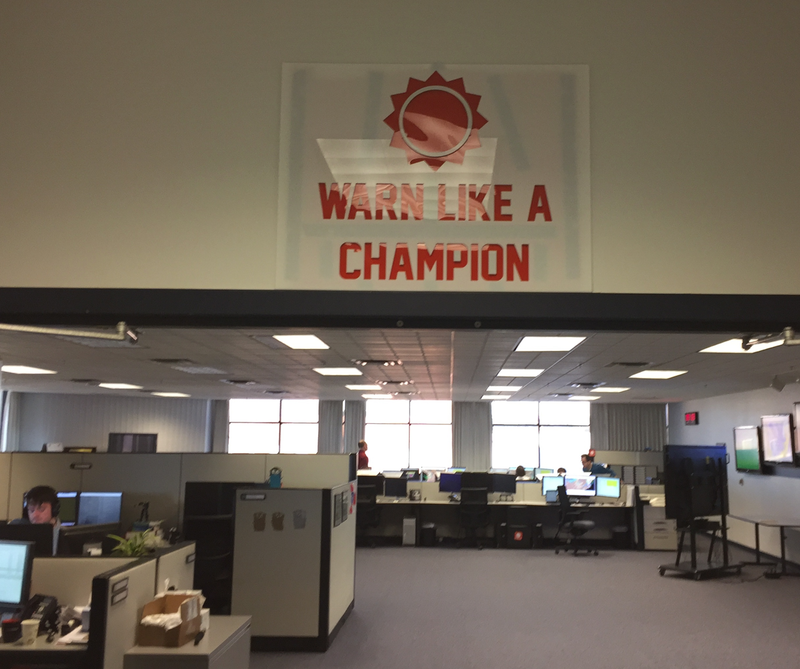 The team recently posted this sign at the entrance to the AccuWeather Extreme Weather Center. 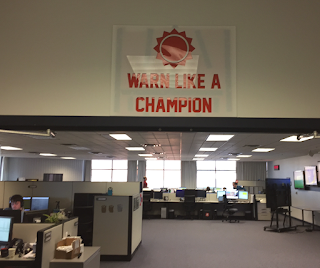 Every one of our meteorologists and developers are champions. The best of the best!